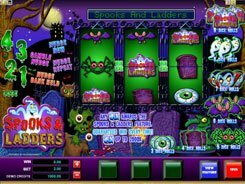 This is a classic Halloween-themed slot fitted with three reels and three paylines. 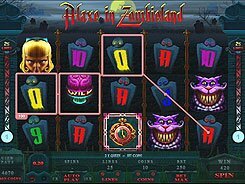 The symbols in the slot are thematic in design and include bats, pumpkins and single, double and triple bars that look like candies. 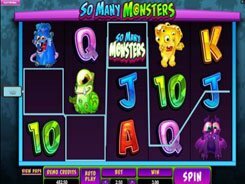 A bet per line is adjusted from $0.25 to $5, so the maximum total bet you can make per spin reaches $15. Bars are the lowest paying symbols awarding 5 to 50 coins for three of a kind or for any three bars landed on a payline. 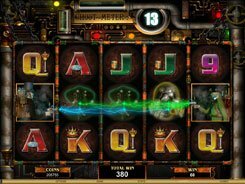 So hitting for example Single Bar, Double Bar, Double Bar will count as a winning combo and produce a 5-coin win. 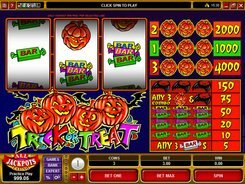 A mix of pumpkins and bats on the payline awards 75 coins, while three bats will present you with a 150-coin treat. 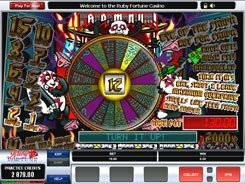 When it comes to the top jackpot award, the slot offers a prize of $20,000. 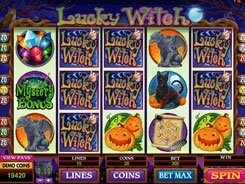 To be eligible for that fixed jackpot prize, you need to play at the maximum coin value and enable all three lines as the said amount is paid out for hitting 3 Pumpkin symbols on line #3. If the same combo occurs on other paylines, you get $5000 or $10,000 (if playing at max, sure).